Dezeen promotion: 40 experts from the fields of graphic design, typography, user experience, art, curation and branding will present at the fourth edition of the Element Talks conference in Warsaw, Poland. Set to take place in Warsaw's Soho Factory from 22 to 23 April 2017, this year's Element Talks is expecting over 2,000 visitors. 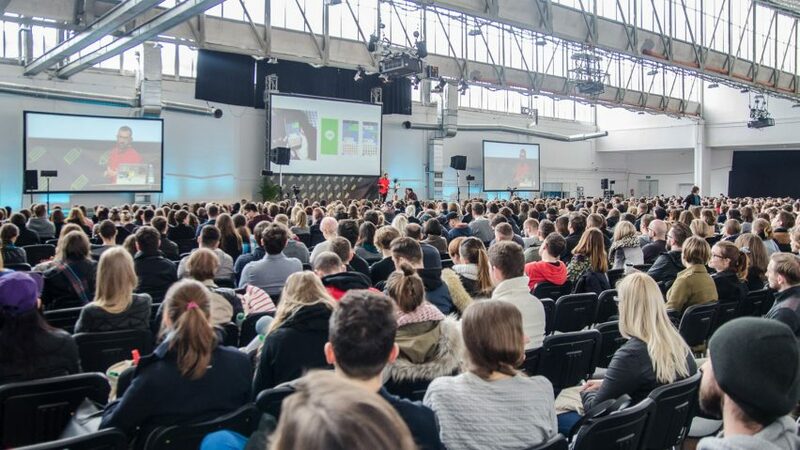 Conferences and workshops will cover a wide-range of design, from visual communication to web design, user experience, user interface design and new technologies. The two days of lectures will feature 40 speakers from around the world, offering advice on creative business finances, negotiations and copyright, as well as entrepreneurship and start-ups. Among the speakers is Adrian Shaughnessy, senior tutor of graphic design at London's Royal College of Art. The self-taught graphic designer co-founded the design group Intro in 1989, whose work encompasses a range of projects from brand identity, typography, film direction to content creation and website design. At the event, Shaughnessy will discuss the role of a graphic designer, which can also include writing, editing and publishing. Also presenting is Mike Monteiro, who founded Mule Design. The studio created both the book and website for Wikipedia's Facts Matter annual report. The San Francisco-based designer will talk about the impact designers can make on a society. Israeli duo Lior Frenkel and Ran Segall will also take part in the conference. The pair are co-owners of the nuSchool, which offers online tuition to creative freelancers managing their businesses. In Warsaw, they will discuss issues related with pricing and negotiations. Other speakers include Jean-Baptiste Levée – the founder of digital type design agency Production Type. He will discuss the business possibilities for type designers. The Paris-based typographer's work has featured in the permanent collections of the French National Library and the National Center of Arts. New York-based graphic designer Leta Sobierajski will offer advice on time-management and over-working, while Dutch artist Erik Kessels will present his ideas about work process in companies. Tickets for the event are available on the Element Talks website for €63 (approximately £54).